I received this product as part of an advertorial. I have read before that even if you have good skin, it’s wise to start using an anti-aging cream in your 30’s. I mean you cant be young forever right! And all skin needs a little help as we age. However with that being said, I have to admit I don’t use any moisturizer’s or face creams as I should because I have not found one or shall I say, any that I really liked. I have a collection in my bathroom of face creams that possible compete with your local Sephora and yet, I use them rarely…. that is until I tried Miracalis Anti-Aging Cream. 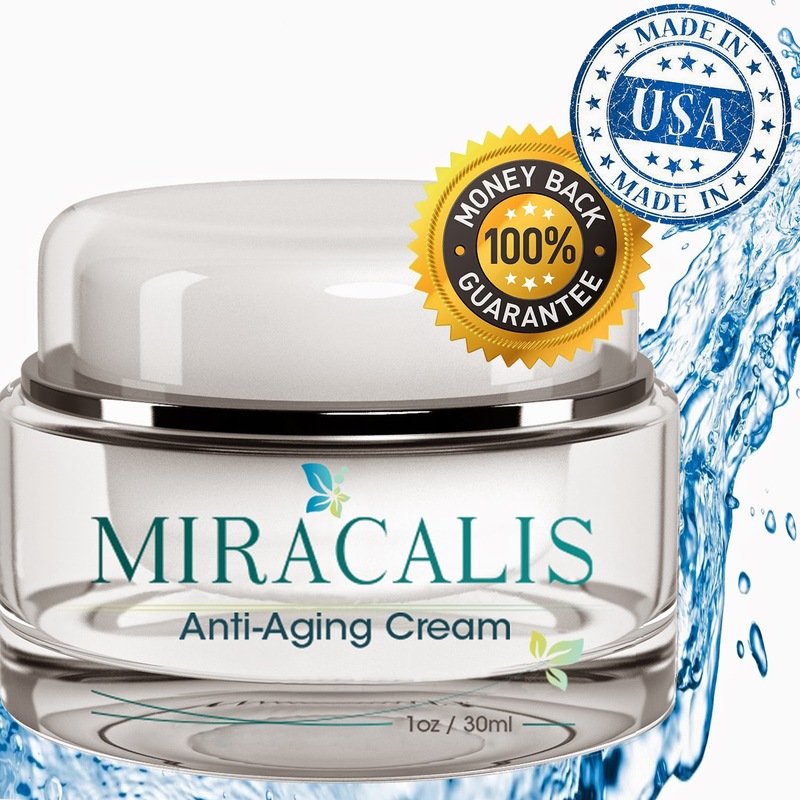 When I was told I was going to be able to try this product out by Miracalis I was thrilled! This cream comes in a glass pot that is light weight and cute looking. The cream it self is very soft and light. I found that using a pea size amount was enough to get my whole face and neck area. It applied on very silky and glided on well without any harsh rubbing to blend it in. I used this cream twice a day after my daily skincare routine. I used it in the mornings and at nights before bedtime. It went on smooth and dried quickly with no residue left behind, greasy look or feel. It’s also odorless which I love!!! Face cream should never have fragrance as that is a potential irritant to the skin. Since I have very delicate skin that is set off by many products, this truly was a winner for me. It never irritated my skin or dried it out. This cream left my skin feeling and looking firmer and softer after almost just 3 weeks of constant use. I can apply my makeup almost instantly after using this cream as it absorbed quickly into my skin. This also works great at night right before bedtime. As I am ready to hit the pillow after my night time skincare routine, its absorbed nicely and quickly with no nasty residue! I have found that I use this product more than any other face creams I have purchased in the past leaving me very satisfied. I plan to continue using this cream due to its great benefits and the fact that my face looks and feels great so that's a bonus as well! Stay pretty & forever young!